From the Archive: City directories are swell! 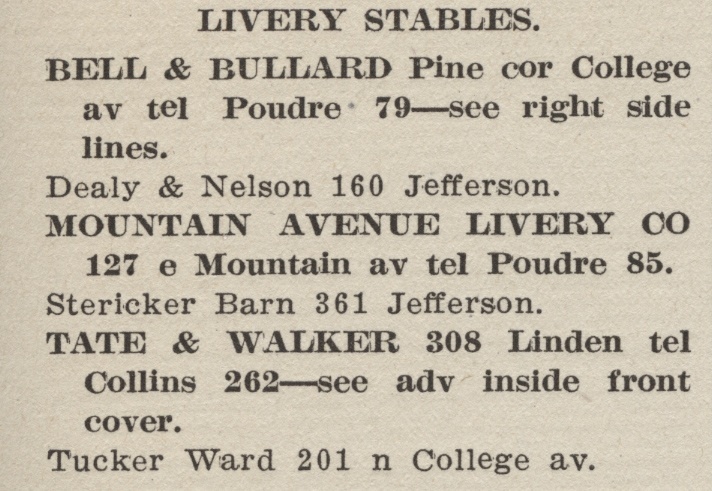 Did you know that the Fort Collins Local History Archive has a nearly complete set of Fort Collins city directories dating from 1903 to 2008 in its collection, and that these books contain an incredible amount information? What are city directories, you ask? Well, they’re similar to phone books but the oldest ones pre-date phones and have a lot more personal information about local residents. They are fantastic if you are trying to research a particular person or family in Fort Collins. You can see a business listing for Owl Drug Store on 100 East Mountain Avenue, and find out that Fred Ottmar was a shoemaker on North College Avenue, and that Bertha Owen was an ironer at Wheeler Laundry….and the information goes on and on. Many researchers will use city directories to trace a certain person through time, discovering what they were doing and where they were living in Fort Collins in the past. 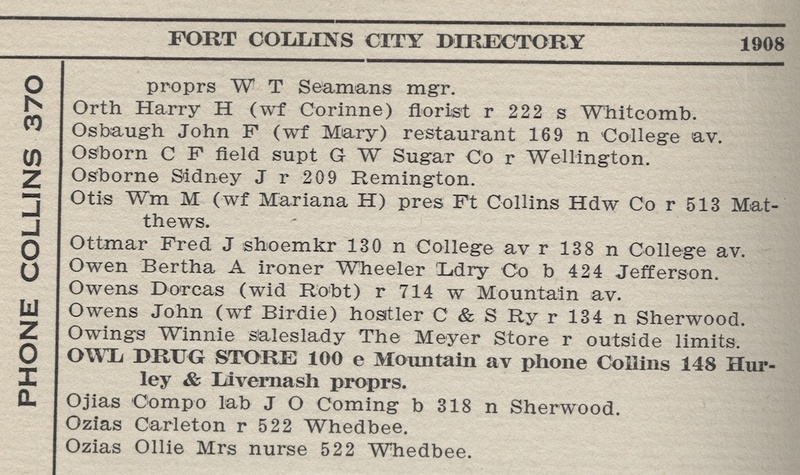 Finally, the Fort Collins Local History Archive has many digitized city directories available for your perusal on the Fort Collins History Connection website. Try “flipping” through the digitized directories page by page and see what you discover!